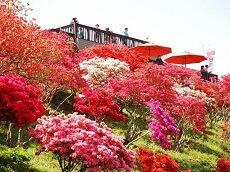 Kairakuen Garden is known as one of the best three landscape gardens in all of Japan along with Kenrokuen and Korakuen. 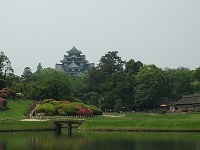 It was built by the local lord Tokugawa Nariaki in 1841. 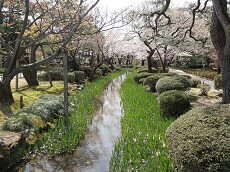 Most gardens prior to Kairakuen were built solely for the lord but lord Tokugawa made the garden open to the public. 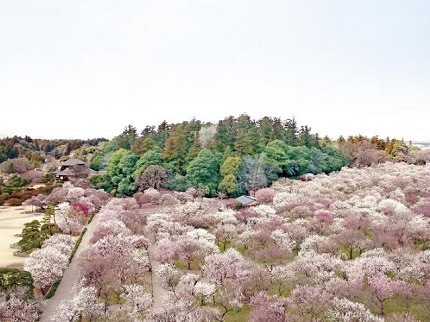 Kairakuen Garden beautiful year round but the best time to visit is during March and April when the garden becomes filled with beautiful shades of pink, white and red from the over 3.000 cherry blossom trees. 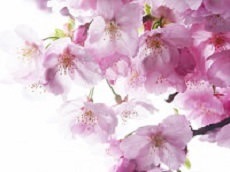 Ibaraki's Mito Ume Festival during this season is a great time to visit Kairakuen Garden. Kairakuen also features bamboo groves and cedar woods. A traditional Japanese style building called Kobuntei is a great place to relax and enjoy the beautiful view of Kairakuen Garden from above.